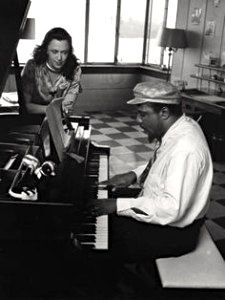 SKF NOTE: Just finished reading Hannah Rothschild’s biography of her Aunt, “The Baroness: The Search for Nica, the Rebellious Rothschild.” Excellent reading about a woman Thelonious “Toot” Monk, Jr. describes as a combination Santa Claus and Mother Theresa for Bebop era jazz musicians, most notably Thelonious Monk. I have read many books and articles on jazz, on the Baroness, but I still learned new insights from Ms. Rothschild’s book. This exchange with Chico Hamilton is one example. 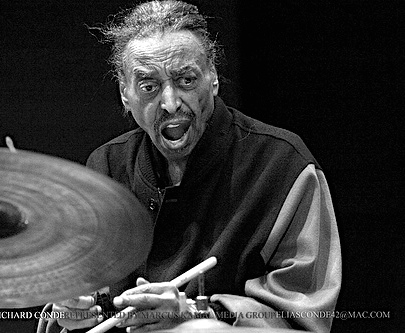 Hannah Rothschild: I asked [Thelonious] Monk’s contemporary, the legendary drummer Chico Hamilton, about his own career prospects in the 1930s. “I had a choice of being a musician or a pimp,” Hamilton replied. Assuming he’d made a joke, I smiled was promptly excoriated. This entry was posted in SKF Blog and tagged Chico Hamilton, Hannah Rothschild, Nica, Scott K Fish, The Baroness, Thelonious Monk. Bookmark the permalink.